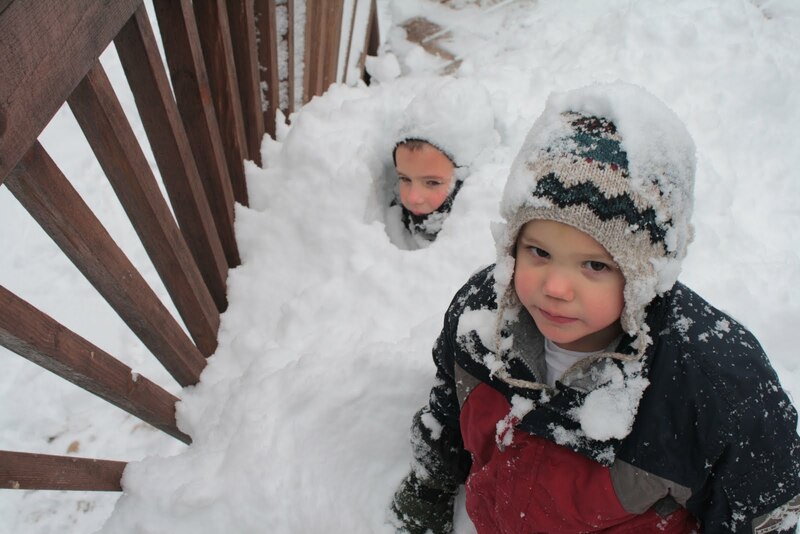 Here are two of my snow buddies! We happen to love the snow, especially when it's still falling down. As you can see the boys even like to bury themselves in it! Snow can be a lot of fun and we have had a great winter for it. I think the boys like the snow better than the beach! But not me, I can't wait until the sunshine warms the earth again and we can sit outside to eat. Oooh, I better stop talking about it because we have a couple more months of cold in friont of us.